Virgin Trains has stopped stocking the Daily Mail in its on-board shops or providing it in first-class carriages, saying it has decided the paper is "not compatible" with its brand and beliefs. Staff at the train company were told of the decision last year in an internal memo. "Different viewpoints are often valuable, and it’s certainly true that we choose to take our news from different sources depending on our view of the world. "Thousands of people choose to read the Daily Mail every day. But they will no longer be reading it courtesy of VT [Virgin Trains]. There’s been considerable concern raised by colleagues about the Mail’s editorial position on issues such as immigration, LGBT rights, and unemployment. We’ve decided that this paper is not compatible with the VT brand and our beliefs. We won’t be stocking the Daily Mail for sale or as a giveaway." The decision was enacted immediately, according to a company spokesman, who told PRWeek: "We regularly review the products we have on sale for customers onboard our trains, and after listening to feedback from our people we have decided that we will no longer stock copies of the Daily Mail on services on our west coast route." 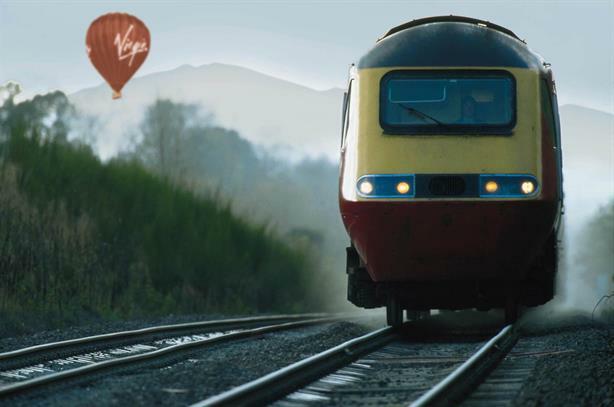 Virgin Trains, which runs the west coast rail franchise, is a separate company from Virgin Trains East Coast. The company's decision has also been noted by the in-house magazine of railway trade union ASLEF - but it is not believed that the union itself was involved in pushing for the change. Virgin Trains is far from the first brand to distance itself from the Mail of late. The best-publicised recent case was Paperchase - the stationer apologised in November to followers on Twitter after users objected to a promotional deal it ran on the front page of the paper. Other brands making similar moves around advertising or promotional deals in the Mail have included Joy, Evans, Body Shop and Lego. The online activist group Stop Funding Hate has been involved in encouraging Twitter users to complain to brands advertising in these papers, but does not appear to have had a role in the Virgin Trains case. Other papers have been on the end of similar action, including the Express and the Sun – the latter was recently involved in a case involving Pizza Hut. However, such moves have been criticised by media commentators and by PR professionals who have warned brands against appearing to "bully media". It has also invoked the ire of the Mail itself, which said the Paperchase case was a "deeply worrying" instance of hard-left activists "seeking to suppress legitimate debate". PRWeek has approached the Mail for comment. This article was first published on prweek.com. 'A hard road to walk' - can brands advertise with the Daily Mail and still keep customers on side?